We are trying to build a company we’d like to do business with ourselves. We aim to be a human company, respectful, transparent, inclusive, socially and environmentally conscious, inspiring, engaging and a good citizen of the world and the Web. We try to be approachable via a clear, self-service website. We thought hard about the user journeys and how to make things intuitive and human-friendly. We try to humanize as much as possible our web platform. And in case you need to contact real humans, we are always here to help! We try to be a fun company to deal with: We work hard but we also try to have fun while at it, we provide fun stuff in our blog and on Facebook. We are a small web start up. We launched a couple of years ago but we’ve been working on the project for a few years. We spent 6 months with students, jobseekers and employers discussing about their journey, the problems they face reaching out. This helped a lot. We traveled the world to find a solution to Mauritius’ skills set mismatch problem. We went to San Francisco and Toronto to exchange with web professionals about it. We met former LinkedIn developers, great UX professionals and business consultants in web hiring industry. We shared ideas and had some good laughs together too. Then we teamed up with passionate web professionals at Ebène Business Accelerator. There are lots of talented people there, good web professionals. Good people too, good humans really willing to make the difference, passionate and determinate about their business ideas. We teamed up so as to be stronger, to learn from each other and because we believe it’s the right thing for us and for our community. We want to stick around and be here for you, simple as that. The web platform is free to use for students, jobseekers and employees at large. It will always be. After all, we are here to help them out. For employers we have clear Terms & Conditions, clear sales-related FAQs and we are fully Data Protection compliant. We are honest people, your personal data remains confidential. We are friendly to the media, the institutions, the recruitment professionals, the associations, the employers and all other people out there starting their career or needing a hand changing it. We do not mind if we’ll be copied by others, which we’d find flattering, as soon as it involves improving people’s life through innovation and healthy competition. We truly love everyone interested in making people’s life easier when it comes to employment. We’re friendly people, we love to exchange ideas and we embrace better ideas. We also do our best to treat our users well. We push matching jobs to job seekers, we guide them through the job interviews and we offer them a public place of exchange where they can gain advice and exchange with HR professionals. For employers we offer competitive access to our web platform, engaging video tutorials and a blog full with resources to get them started. We listen to you, about the challenges you face. We try to make your life easier too. We always include the community in the design and testing of new features, and thank them for their help when those features are released (of course). After all our web platform is developed for your own use, so who better than you to tell us how we can improve your life? We reply to every email and Facebook message, we love to hear from you and have your feedback. We try to be a good citizen in our marketplace, never speaking ill of others, that’s not honest and it doesn’t help collaboration, exchange of ideas. We also open source parts of our software, as much as we can, the largest the network, the more powerful it will be. 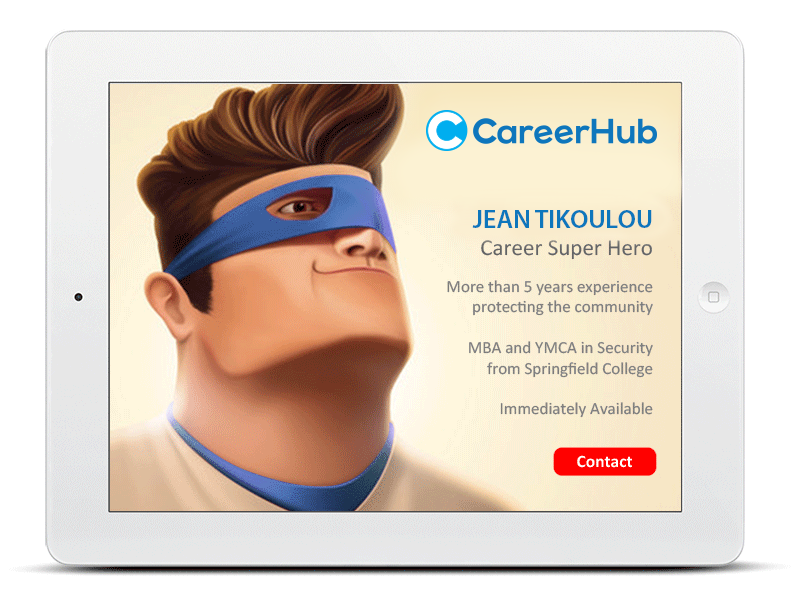 At CareerHub we do strongly believe and support inclusive models where all recruitment stakeholders get a benefit by collaborating together. This unique model places us as a facilitator and doesn’t disrupt traditional recruitment models like headhunting and publishing media. We help putting together employers with all recruitment channels available (including headhunters)… at just one click. Recruitment partners are able to build a stronger business, Employers get a much easier life and Jobseekers have a much better job hunting experience. 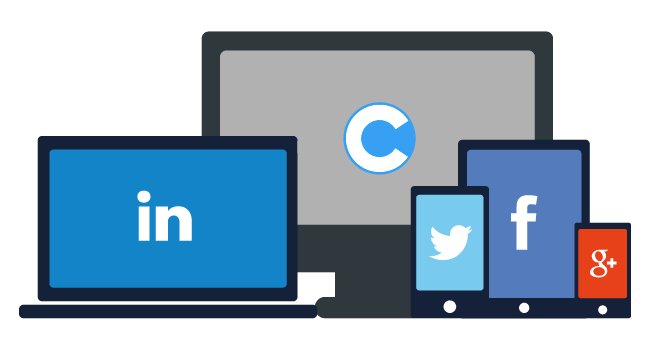 We are big fans of popular networks as well, we push our web platform where you are, CareerHub leaves on the web, on Social networks, where you spend time, conveniently, easy. We believe that’s not anymore about pushing visitors to one’s web platform but pushing relevant content to where you spend your time online. When used correctly, Facebook and LinkedIn are great channels to recruit talent and get employee referrals. We don’t fight against what works well, instead we choose to partner and leverage from it. Together we are always stronger. We also believe on displaying targeted content, be it matching jobs or qualified candidates, relevant content is the standard in 2017, yet we don’t see this around us in Mauritius except when on LinkedIn (gosh, we just love LinkedIn, did we mention that already?). And above all, we do strongly believe in the power of intuitive and engaging visuals, making people literally loving using the platform, having pleasure and obtaining benefit from it. That’s really cool. That’s what we aim for. We are big funs of the sharing and collaborative economy too, we try to act like good citizens and benefit everyone around us. In short, we’re good people, and we care. Question for you: What else should we do to help jobseekers and recruiters?